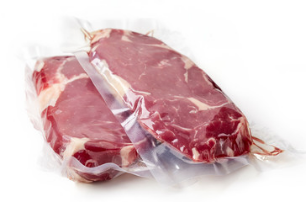 In response to the increasing demand in the food industry for high-quality packaging materials, Viking launched its first range of vacuum packaging materials in 2006. This has since expanded to incorporate world leading shrink bags and films, thermo forming film, skin packaging materials and much more. With an international network of technology leading film material producers and printing partners, we are committed to providing advanced technology and the highest quality packaging materials to our clients throughout the Australia & Oceania Region. Our mission is to protect and preserve food products in the most effective, sustainable, economical and well presented manner possible and our long term business relationships are based on trust and dynamic growth. The Viking Shrink Bag range combines unique technical abilities with superior presentation power. Perfectly protect your food products. Viking imports world-leading 11 layer thermo film from Germany, using advanced technology to reduce the thickness of the material by up to 20% but maintaining enhanced thermoforming properties. Over 50 stock sizes in various thicknesses, including custom requirements such as tear nick, hang hole, stand up, coloured back and fully customised print options all available.